Tim advises and represents private and public corporations and healthcare industry entities to structure, fund, govern and meet strategic objectives. 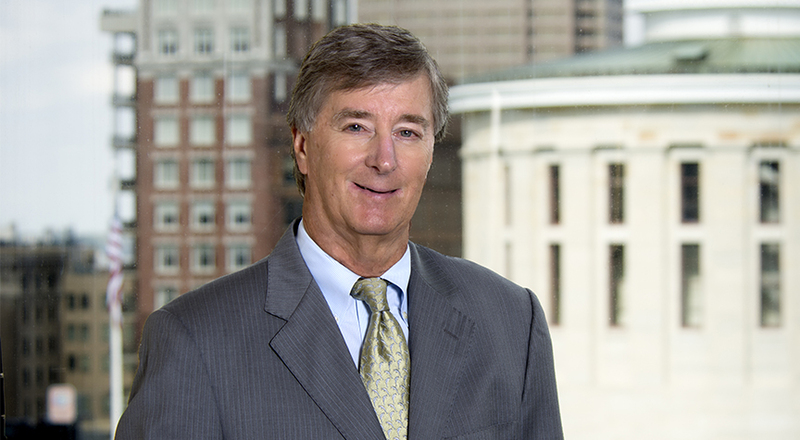 Tim has acted as bond counsel, underwriter's counsel and trustee’s counsel in connection with private placement bond financing and as underwriters’ counsel and company counsel in bond financings. He represents financial institutions on regulatory and product/service development and distribution. Tim also manages clients’ intellectual property assets, such as in hardware and software contract negotiations and data base copyright law. Federal anti-kickback and Stark Laws. Deal structuring, billing, coding and documentation. Contract negotiation with Third Party Payers. Tim also helps to structure physician and management compensation arrangements and succession planning and transition strategies. His 20 years of services to the Organ Procurement and Solid Organ Transplant community of organizations was recognized officially by former Ohio Governor Bob Taft. Tim is the chair of the executive committee for Lifeline of Ohio Organ Procurement and also serves on the Solid Organ Transplant Consortium and the Ohio Tissue Bank. Medical office space and clinics. Senior independent and assisted living projects. Tim has an AV (Preeminent) Peer Review Rating from LexisNexis/Martindale-Hubbell, the highest peer rating standard. He has also been recognized by Best Lawyers in America for his healthcare law practice. Tim has been listed as a member of the Who's Who in Executives and Professionals and has received Certificates of Commendation from Tommy G. Thompson, former U.S. Secretary of Health and Human Services, for his work with solid organ transplant centers and organ procurement organizations. Tim attended Wake Forest University, received his B.A. from The Ohio State University in 1971, where he lettered in Varsity Golf from 1968-1971, and earned his J.D. from Capital Law School in 1974, where he was a member of the Order of the Curia, Honor Council and the National Moot Court Team. He is a contributing member of The Entrepreneurship Institute, an association of CEOs and presidents of small and medium-sized companies that receive guidance through its President’s Forum. Tim is also a member of the Center for Science and Industry’s (COSI) Community Board of Advisors. He served as a member of the board of governors of The Golf Club, a Pete Dye designed top 30’s golf club, from 2003-2015 and as president from 2011-2015. He is also a member of The Ohio State University President’s Club and the Varsity “O” Association of former OSU varsity athletes. Compliance Presentation at Consultant Anesthesiologist, Inc.